And it's called 12 DEADLY DAYS. See the play there? 12 Days of Christmas and a.... Yeah. I thought it was clever, and not since the day KRAMPUS premiered, or even the most recent A CHRISTMAS HORROR STORY showed up on Netflix (read my review right here), did we see some cheeky horror cheese like this. 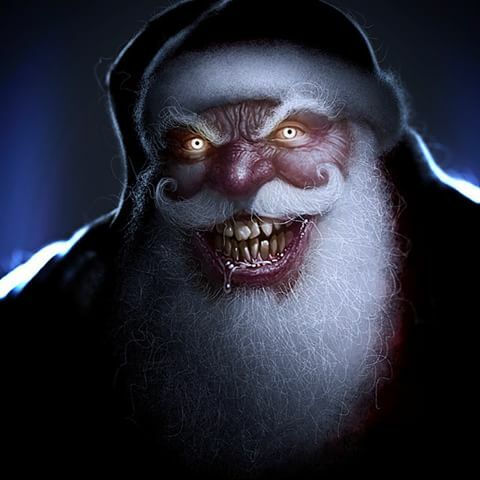 The web series will be set in the "cursed town of Saturn, CA, during the 12 days leading up to Christmas," and within those 12 days, you can imagine, are 12 EPISODES. Lovely. And each episodes represents a tale of terror unlike anything you've watched before, a la STRANGER THINGS, but featuring everything from crazy caroling killers to winter vampires crawling in the silent night under the north star. Want to watch a Christmas tree go haunted? This series will have that. And it apparently will have an episode about cursed fruitcakes (as if a fruitcake never was cursed before!). Don't get me wrong: I love Christmas trees, and fruitcakes, but this just sounds funny and delightfully hideous from a corny sort of standpoint. You'll be looking at one HELL of a cast, too -- Betty Gabriel from THE PURGE: ELECTION YEAR, Kaitlin Doubleday from EMPIRE, Dohn Norwood from HELL ON WHEELS, and even Tom Lenk from the classic BUFFY THE VAMPIRE SLAYER. That alone should bring the yuletide in better than a zombie can bring in the brains for Christmas dinner. Soup's on!